​Chelsea misfit Alvaro Morata is willing to take a 'substantial pay cut' in order push through a move to Atletico Madrid. The 26-year-old has failed to settle at Stamford Bridge since his £58m arrival in 2017, netting 24 goals in 72 appearances across all competitions during his time in west London. Although that isn't a terrible record, the Blues' pursuit of on-loan Milan front man Gonzalo Higuain perhaps signals that Morata's time at Chelsea is coming to an end. According to Spanish media outlet ​Marca, the former Real Madrid striker's next destination could be in fact​ Atletico Madrid, with the forward willing to earn significantly less than the €9m-a-year he pockets at ​Chelsea in order to complete a move without any hassle. Atleti's current wage bill at the Wanda Metropolitano however means the club would have to offload players before completing any deal for the Spaniard, with Gelson Martins and Nikola Kalinic two names linked with departures to help finance the deal. 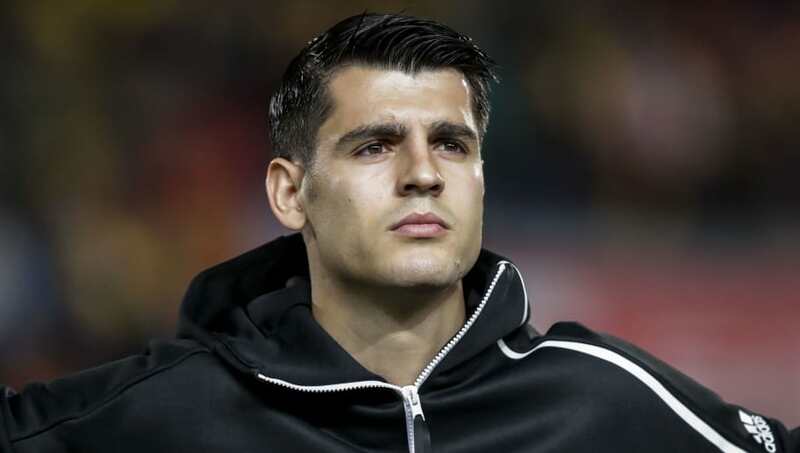 ​Sevilla were another La Liga side linked with the out-of-favour Chelsea striker recently, although a proposed move was halted due to Morata's excessive wage demands, highlighting his apparent desire to join Diego Simeone's side instead. ​Morata is no stranger to La Liga, having scored 25 goals in the white of Los Blancos during two spells with the club, although a move to Atletico would see the Spanish international return to his first club, having come through the ranks at Atleti before joining Getafe's youth setup. A move for Morata to Los Rojiblancos could also be seen as them directly replacing Diego Costa, who has been linked with a move to China in recent weeks. Should a move go happen, Diego Simeone will no doubt hope that Morata can start firing again as he looks to keep in touch with current La Liga leaders Barcelona.